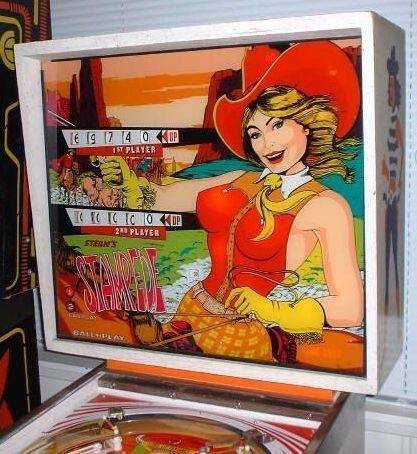 Saw this on Facebook, too good not to share... Looks like an op swapped out the pointy breasts on this backglass for a unintentionally-lighted version of the ten commandments conveniently drawn onto the back board. That is worse than LED's in an EM. Thou shall not stare at boobies. 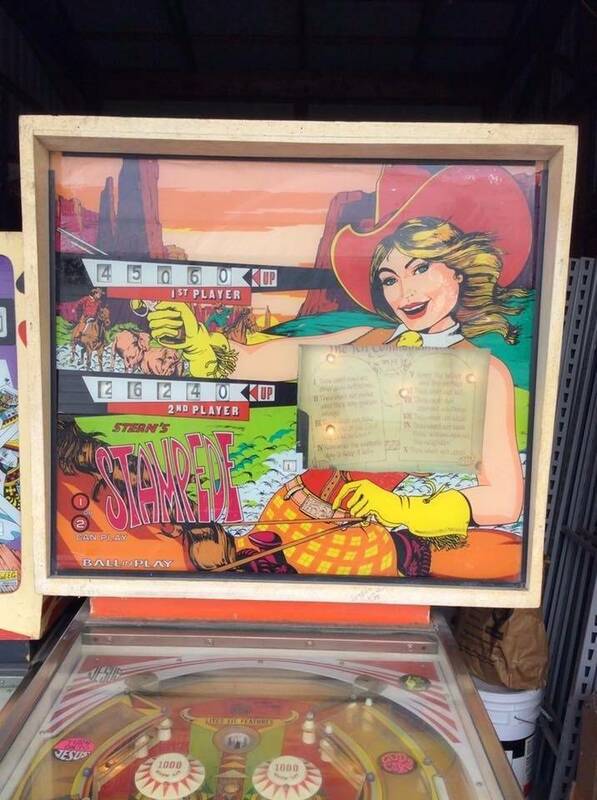 Stampede is all about the backglass art. The rest of the game is easily forgettable. Blessed be all manufacturers of dairy product, not just the cheesemakers. ...and behold, the mountains were laid low! I'm just as shocked as you guys that ForceFlow actually owned an EM! ..w..what? did they cut out a part of the backglass? or glue a pic over? Space is the main limiting factor, unfortunately. You're not to far off about IPDB, though. I do like to rummage around on IPDB...there's all sorts of hidden and lesser known gems kicking around outside of the top 100. They usually get passed over when they come up for sale since everyone makes a beeline for the T2's, BK's, etc. I also like to read, research, and contribute frequently to pinwiki and IPDB. Just the other day, stumbled upon some info about a game named Gottlieb Zorro that never went into production and wasn't listed on IPDB, so I forwarded on what I found. It looks like the entry was just added today for it with some additional info from Steve @ PBR. Can imagine various scenarios on the discussion of this pin. When the decision arose to cover over the breasts. 'We taped the 10 Commandments over the cleavage, but the teen boys usually just removed the 10 Commandments from the back of the game'. A Sister comes running from the basement or annex with the 10 Commandments in her hand stating she found them on the side of the game, again! And I thought the Elvira and the Party Monster's cleavage cover sticker was excessive.This is a far more agressive method to "protect" young minds.